Welcome to the Missouri Department of Social Services Child Care Online Invoice System. 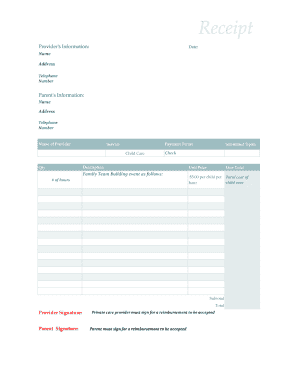 Existing child care providers, enter your ID and password to sign in. 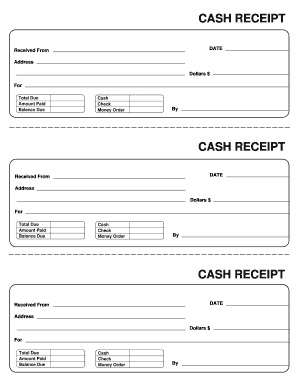 CASH RECEIPT DATE Received From Address Dollars For Total Due Amount Paid Balance Due Cash Check Money Order By. 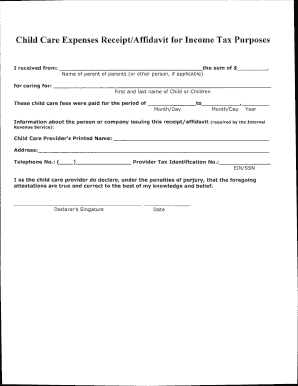 Daycare Receipt Date Received from Dollars Child ren s Name s Services provided for the week of Provider s Signature Tax ID or S.S..